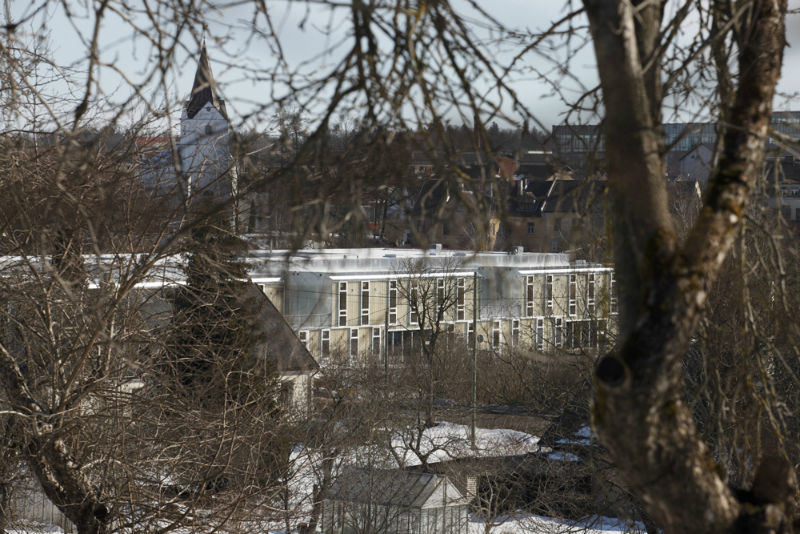 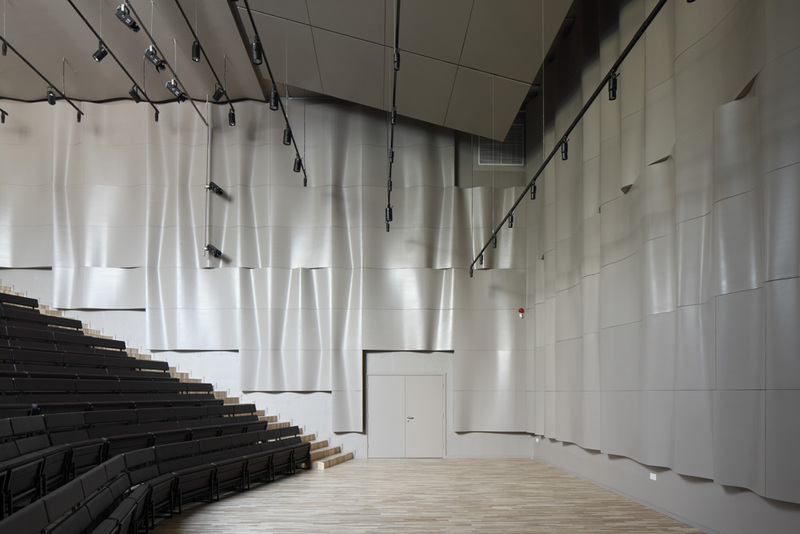 The building of Music and Art school comprises two schools working separately until now. 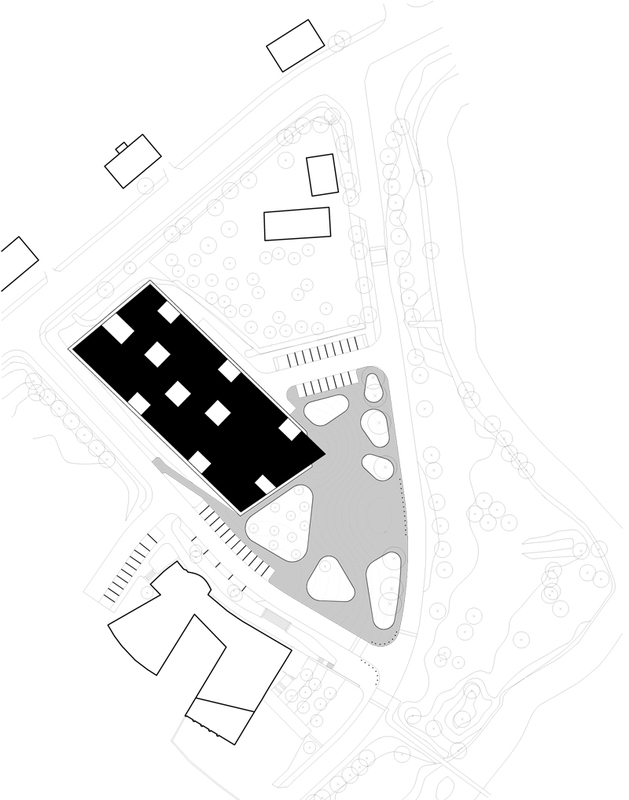 The classrooms are placed on perimeter, while practicing halls and libraries in the middle of the building. 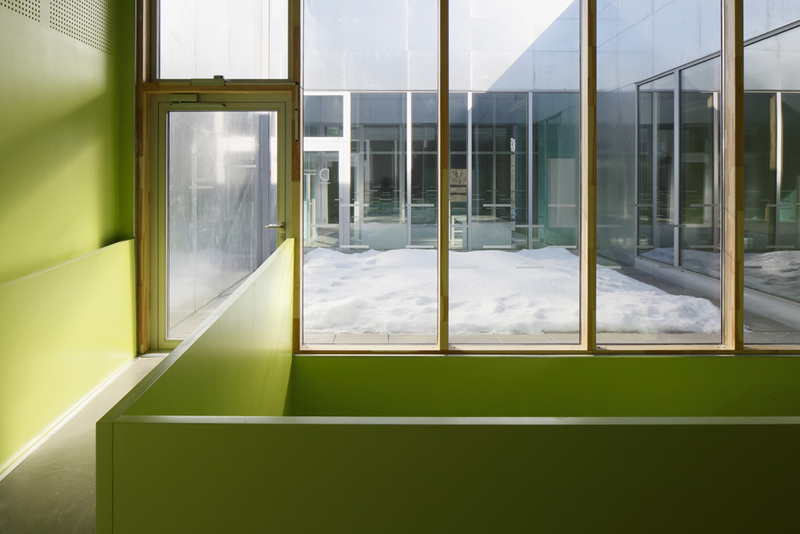 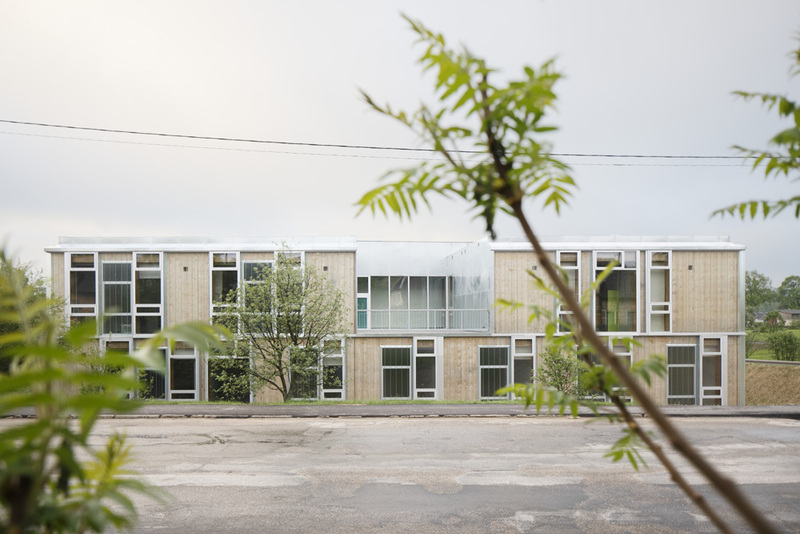 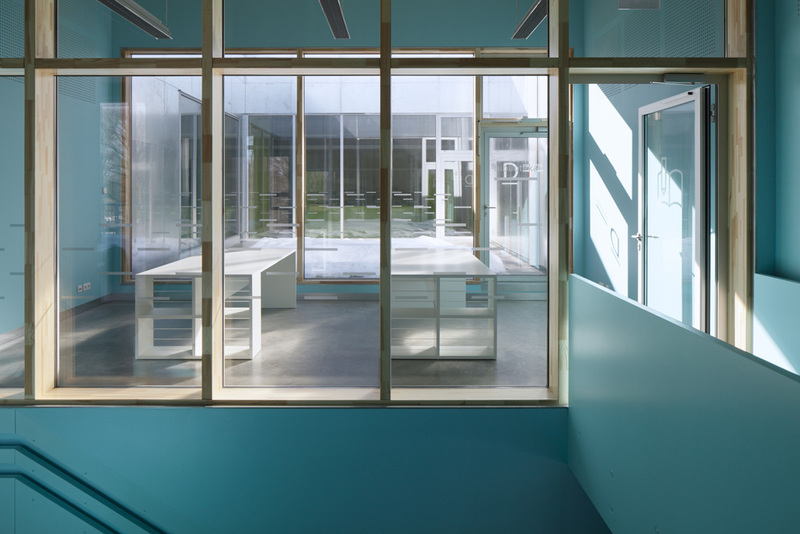 Light courtyards are the result of the compact plan, providing a lot of daylight and reflected light in the middle of the school, and at the same time being the space for both schools to interact. 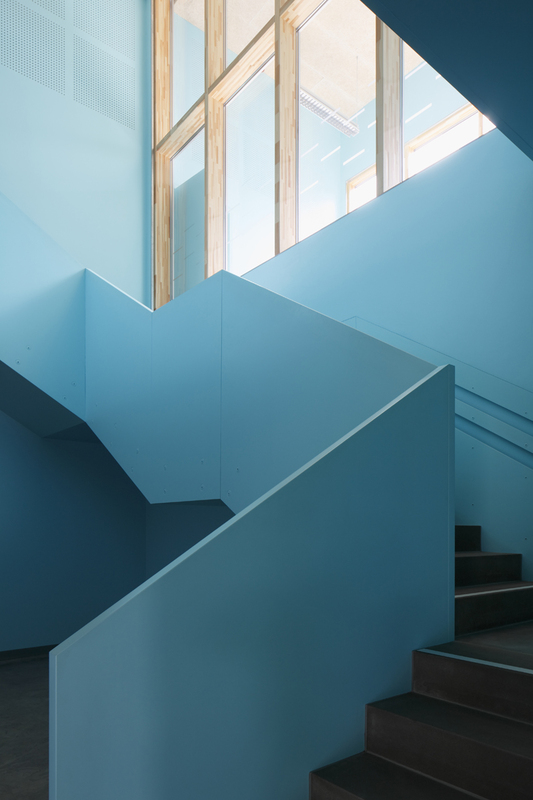 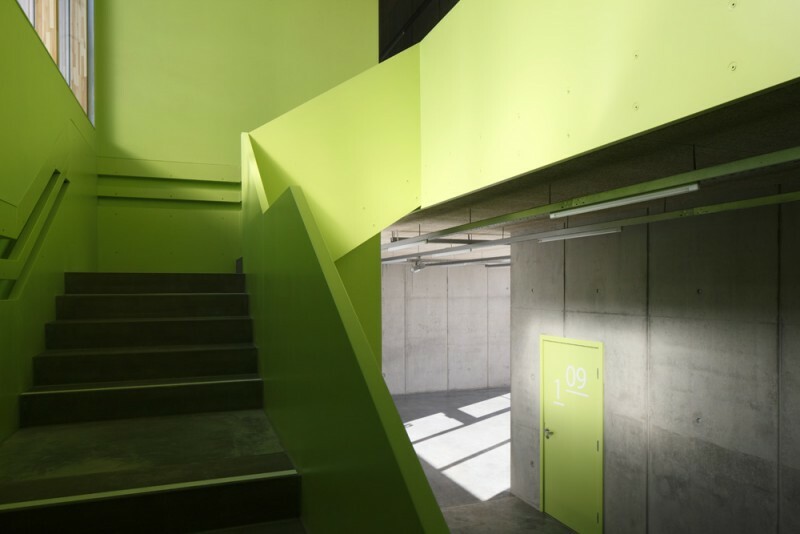 Green colour in interior marks the Music school, while the blue is for the Art school. 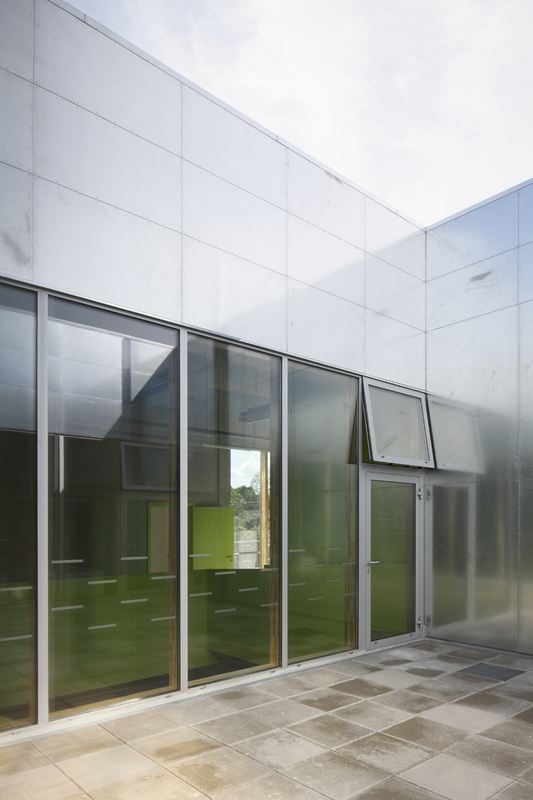 Large thermal inertia of the building and integrated floor heating delivers even temperature regime. 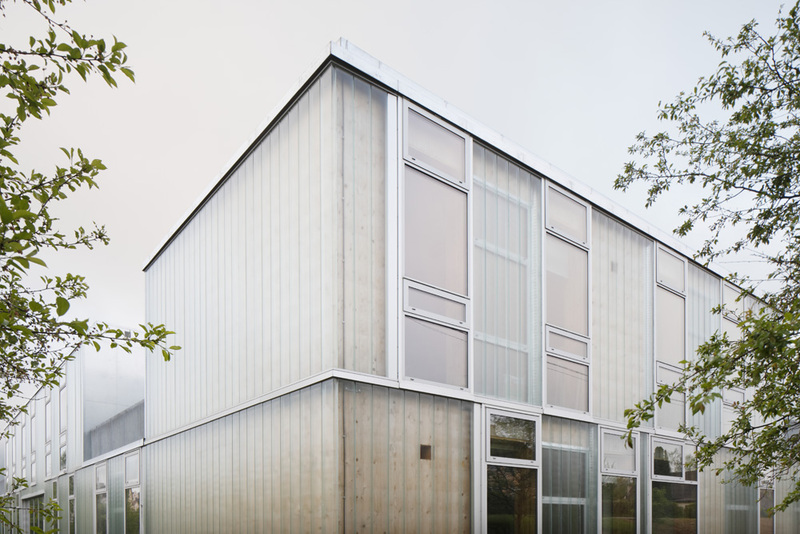 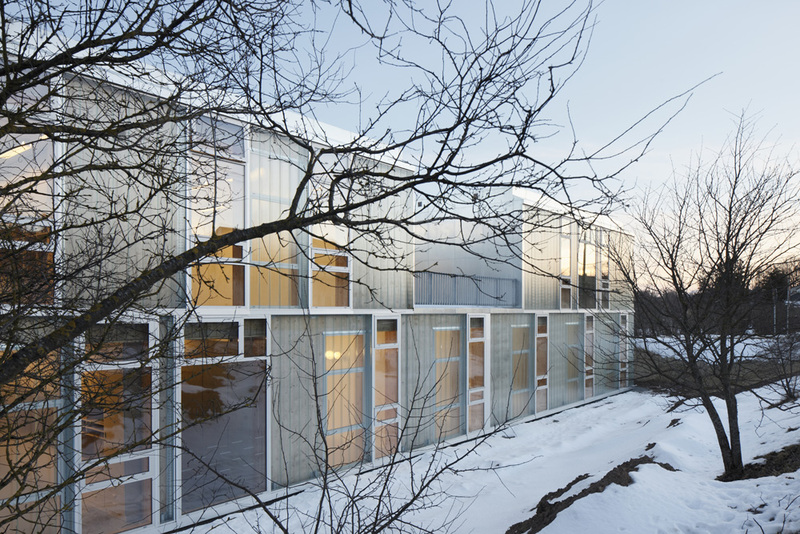 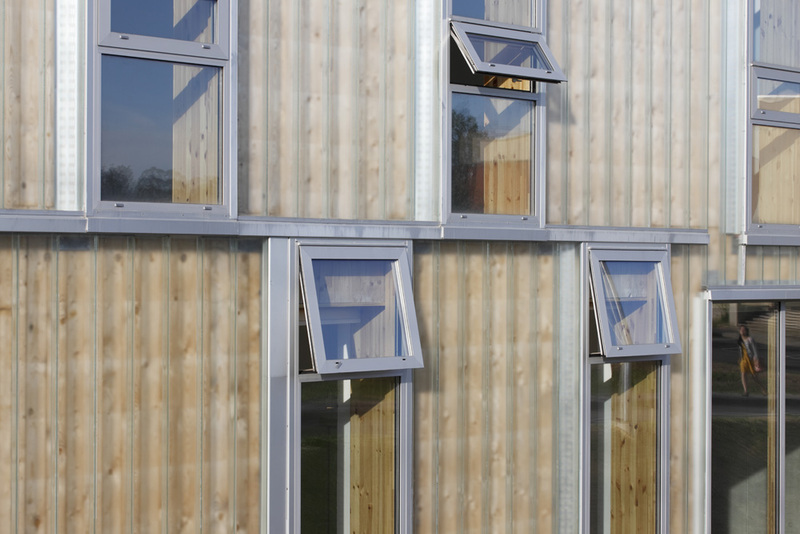 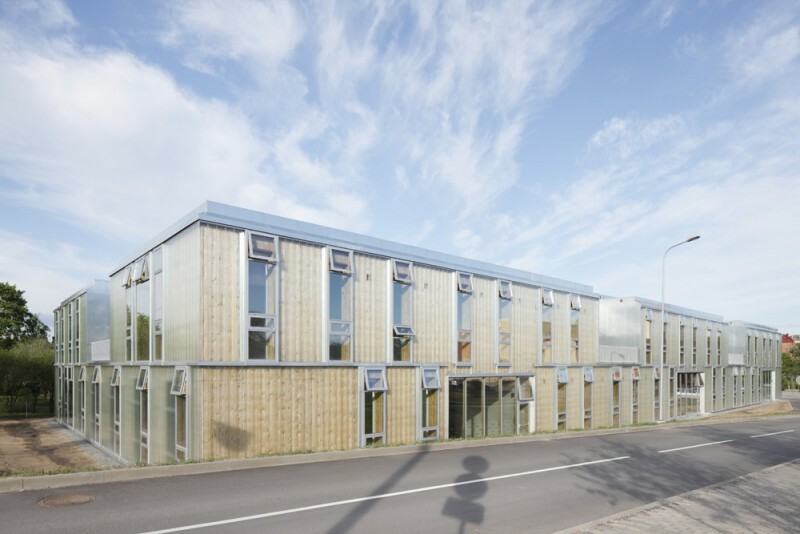 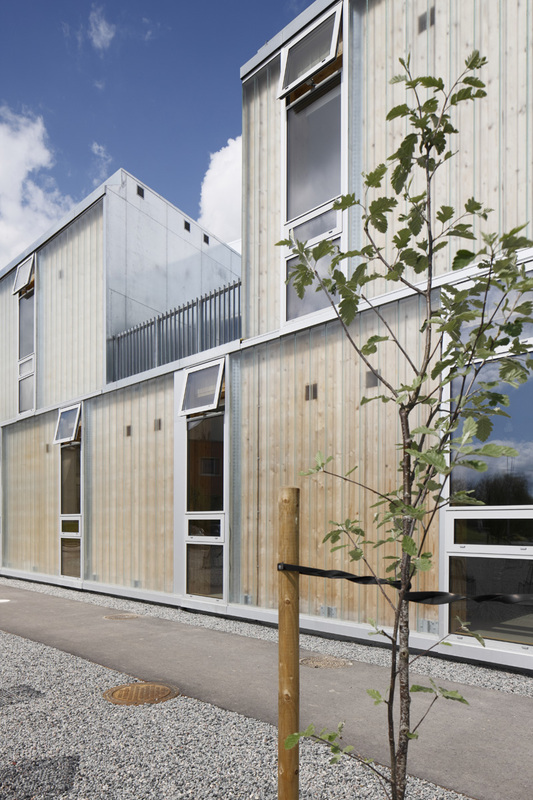 Facade, consisting of massive timber panels, covered with profile glass, is a part of energy efficient natural ventilation system, preheating inlet air during winter. 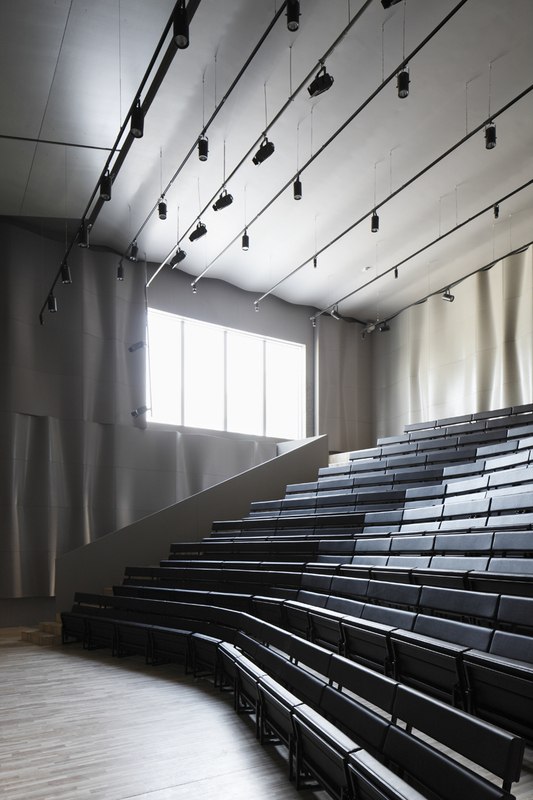 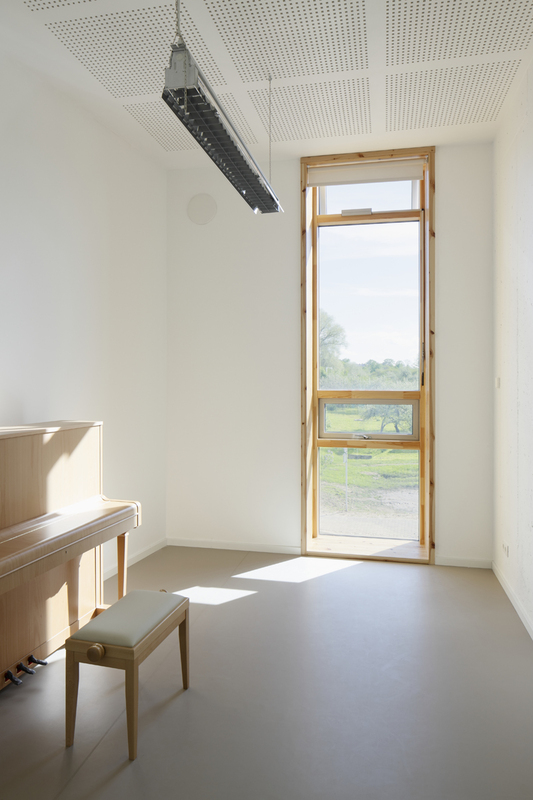 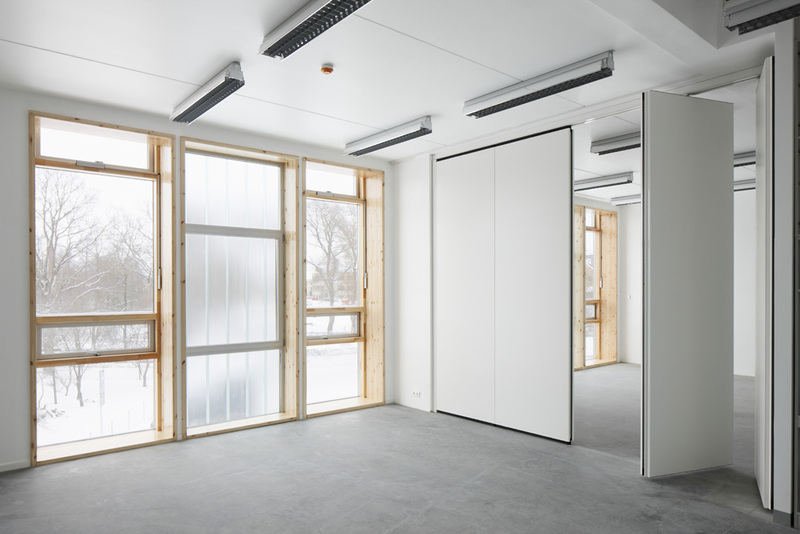 Massive wood wall with lime plaster accumulates humidity, providing the good climate for people as well as for musical instruments inside the classrooms. 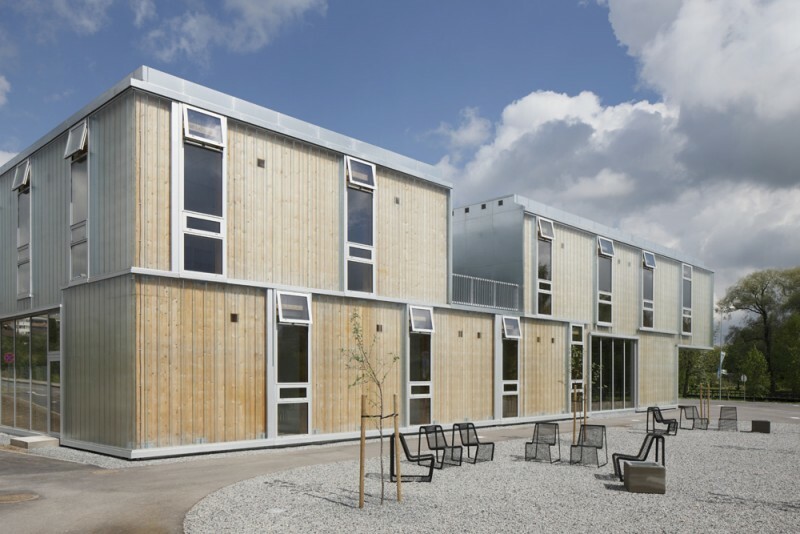 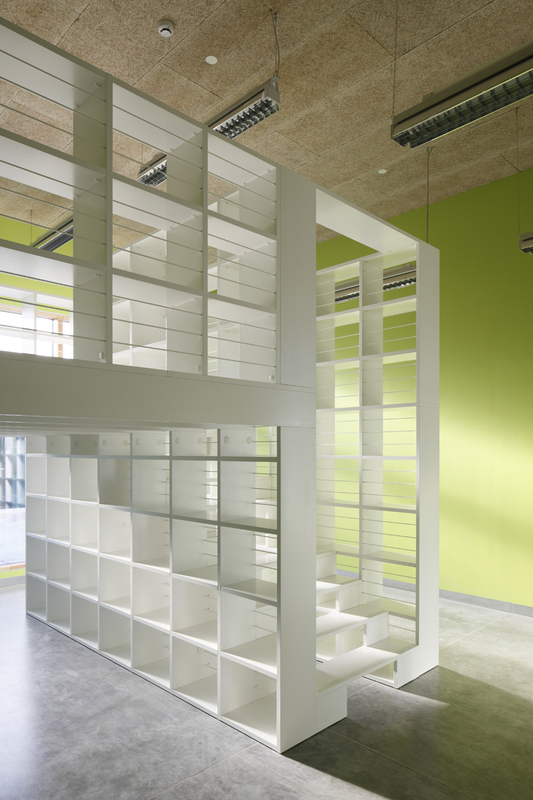 Building structure and materials work as passive environmental control at the same time exhibiting it's functionality. 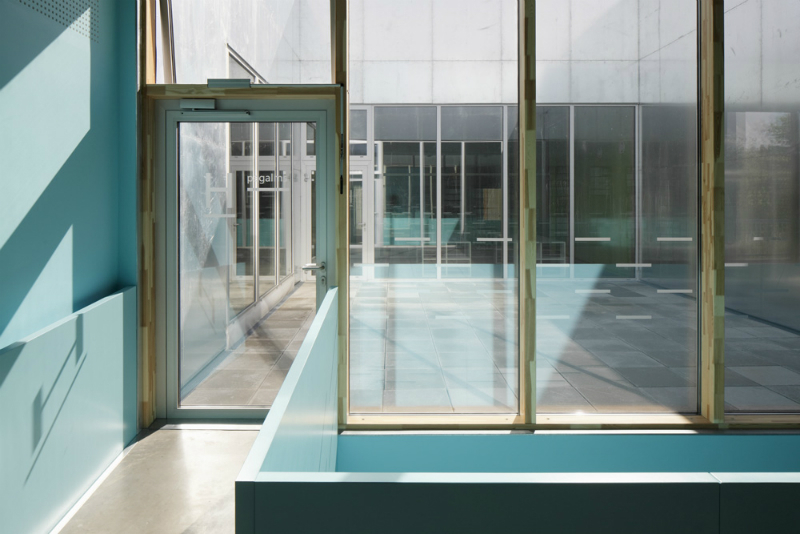 Inner concrete walls and through the glass visible outside massive wood wall exhibit their natural origin, which we find as an important issue especially at the institutions of education. 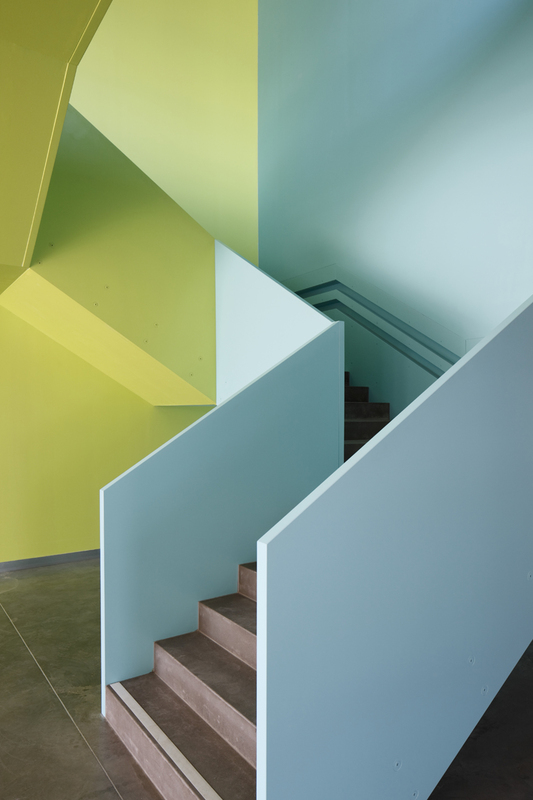 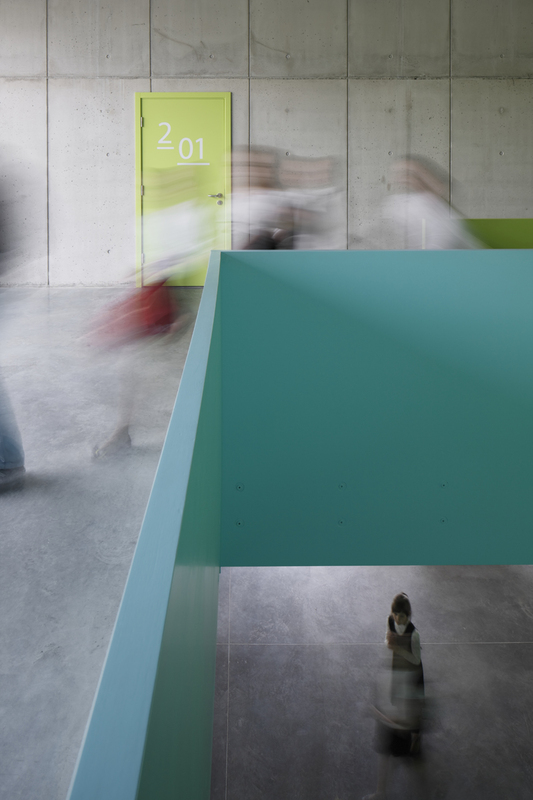 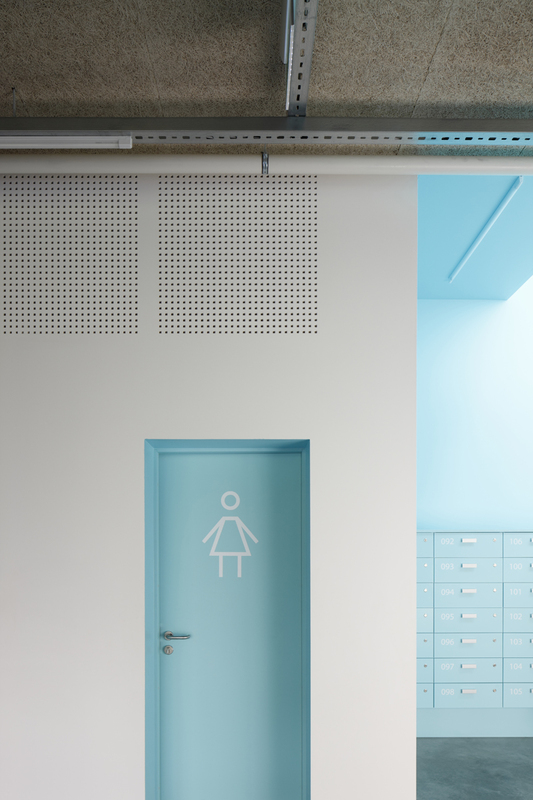 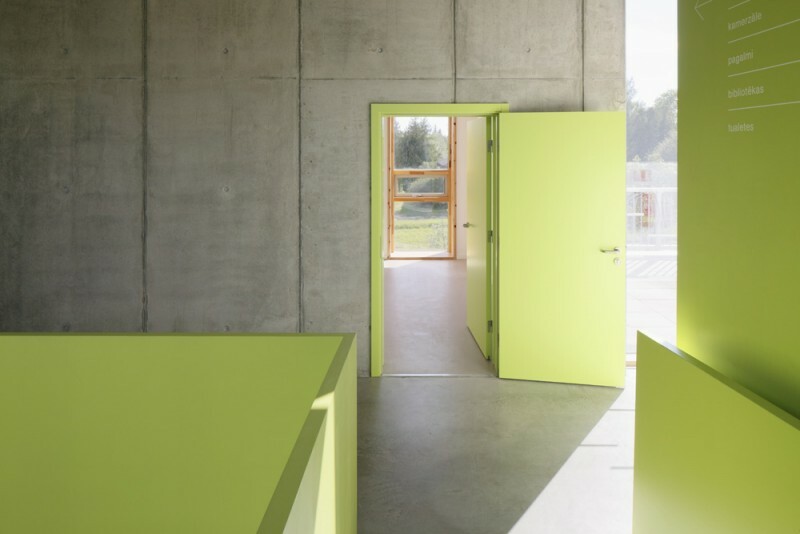 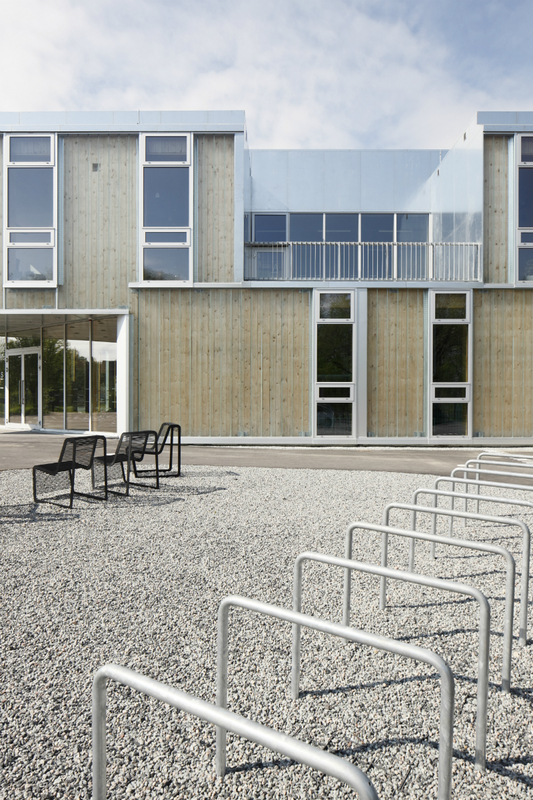 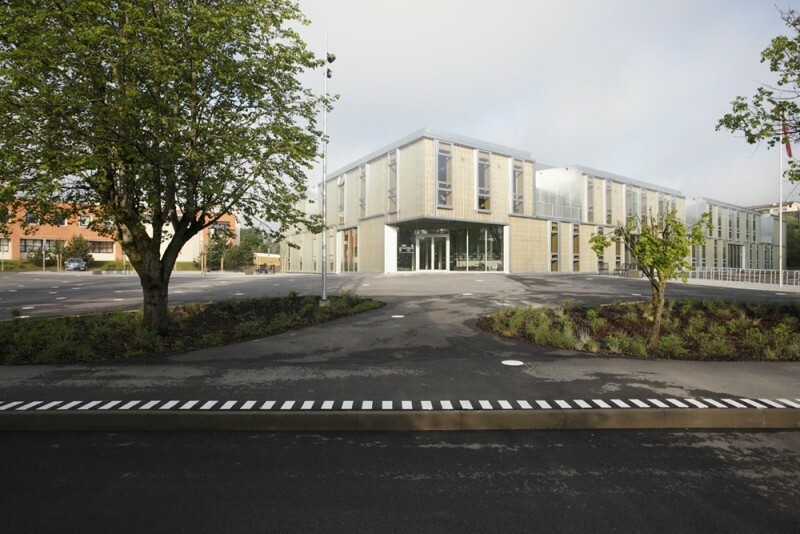 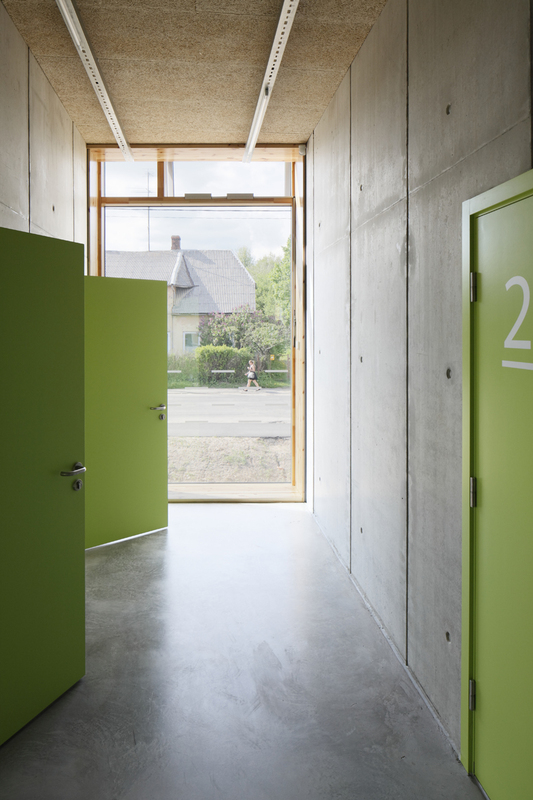 There is no single painted surface on a facade of school building, every material share its natural colour and texture.